I went to help Chrissie sort and organize her photographs today. She has a lot of albums that are just sitting in boxes in her garage. We went through only about 5 or 6 albums….I came home with some of them! 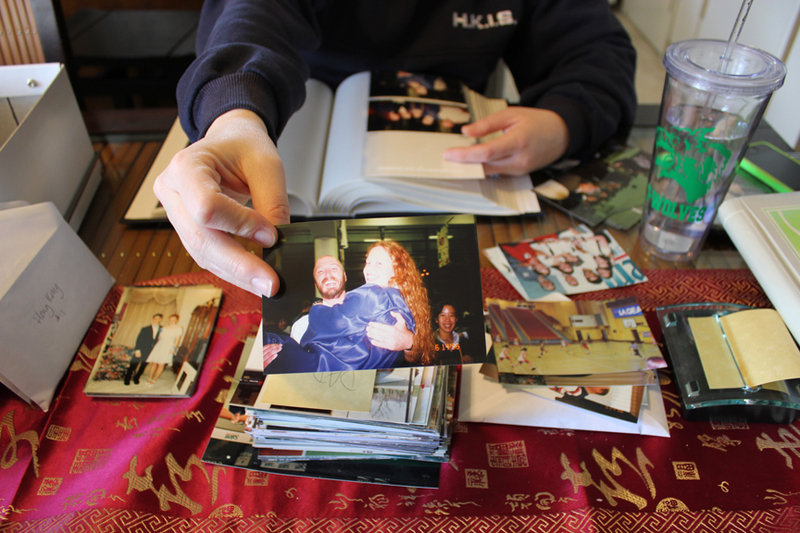 She is organizing them into photo boxes…much smaller boxes that she can use as a filing system. 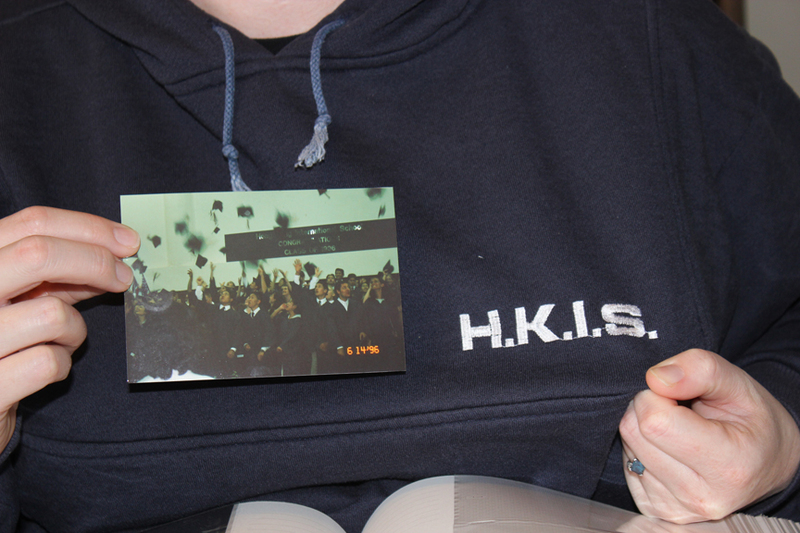 Here is a picture of her high school graduation from Hong Kong International School…see her sweatshirt….with the H.K.I.S? Funny that the albums we went through today included pictures of her graduation from H.K.I.S. and she was wearing the school emblem on her sweatshirt! In the picture below….one of the teachers from the high school picked Chrissie up after the ceremony! Too funny! This entry was posted on Wednesday, February 23rd, 2011 at 10:36 am and is filed under Uncategorized. You can follow any responses to this entry through the RSS 2.0 feed. You can leave a response, or trackback from your own site.